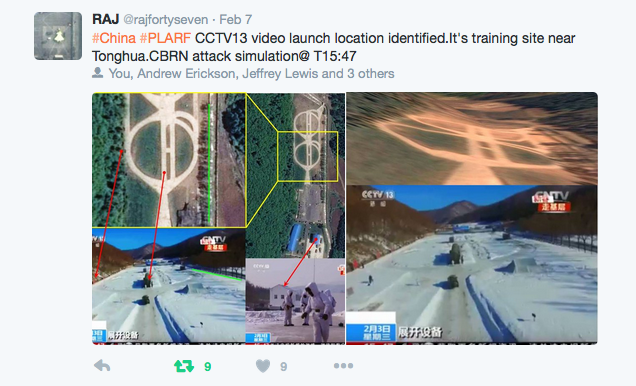 A light yet wonky Friday post at the end of (another) heavy North Korea week… After my post last week on a special Spring Festival PLA Rocket Force training exercise, several colleagues helpfully pointed out where the training exercise might have occurred. I made a map last night illustrating the possible routes a convoy of DF-31 or DF-21 TELs might take from the 816th launch brigade main base in Tonghua to the identified training site. (You’ll note the Google Maps road overlays don’t quite match the satellite imagery). After watching the video for the nth time, I could not reconcile one part of the route shown in the video to the direct route from Tonghua I mapped out (shown as Route A in the map). 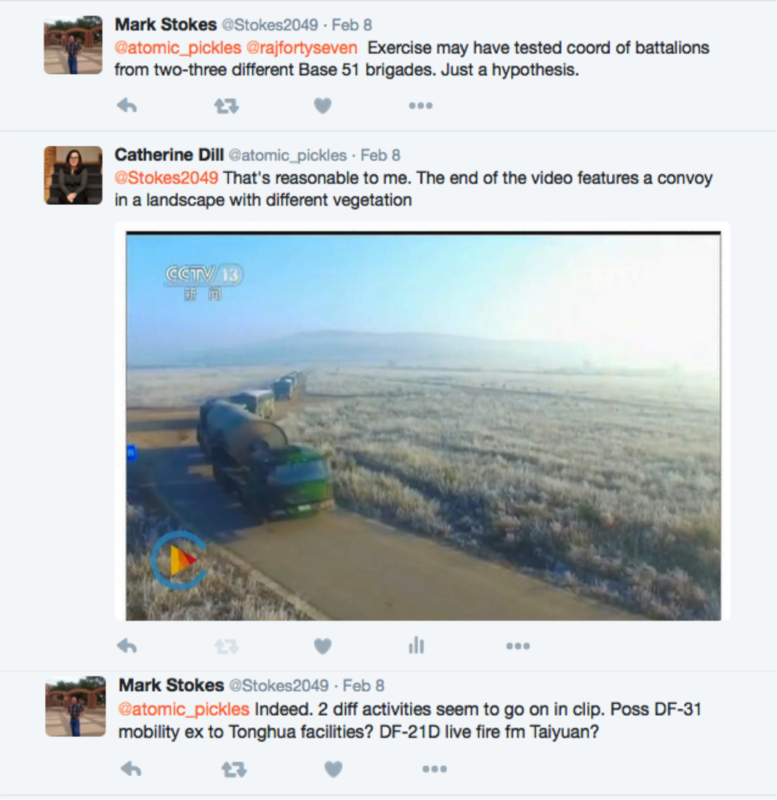 Of course, segments in the video may be out of sequence, and as Mark Stokes and I discussed on Twitter it is possible that the video shows the launch brigade traveling to multiple exercise areas, perhaps even for multiple exercises. After some communal searching at the office, I found an alternate route the convoy may have taken, perhaps to simulate different road conditions (shown as Route B in the map). What does the crowd think on this one? Man! You are down in the WEEDS wonky! Love it! No TEL visible coming out of the main base: just a convoy of six tracks with personnel and a leading humvee. b) entrance leading inside the maintenance building. 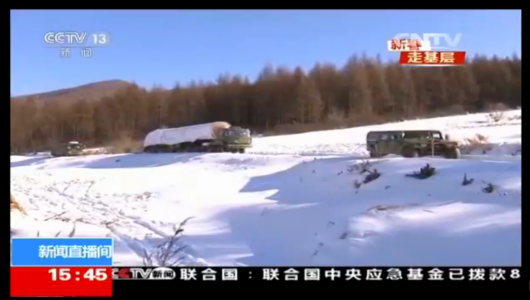 Dummy missile is much more practical for field trainings. The roads don’t exactly match the satellite imagery because the street maps are plotted using the GCJ-02 datum, whereas the satellite imagery is placed using the WGS-84 datum.